Story Plot The storyline of the Zee Marathi show Tujhyat Jiv Rangala revolves around the young wrestler Rana, played by Hardeek Joshi who comes from a small town near Kolhapur. Rana is a hard-working, simple-minded and kind-hearted man with no place for love interests in his life. He stays away from women mostly but soon meets a gorgeous yet simple school teacher, Anjali Phatak played by actress Akshaya Deodhar. Soon, a silent attraction and love story starts developing in his heart. The trailers received good response from the media. 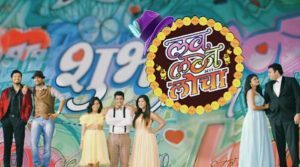 It replaced the short running show Nanda Saukhya Bhare for the 7.30 spot. 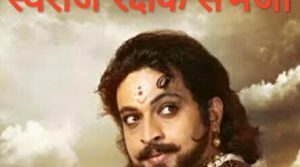 The serial is produced by Smriti Shinde and directed by Niranjan Patki. Nice story we loved it. It happens in real life. Mast story ahe. सुपरहीट गावरन मालिका तुझ्यात जीव रंगला लई भारी रानादा साधा फेळा आजली टिग्रीवाल्य कडक नदिता प्रेमळ गोदाआका शांत साहेबराव बडबड्य बरकत रानादाची छोटी दोस्त रानादाच दोस्तीच प्रेम लई भारी एक न. मला वाटते अंजलीने राणावर प्रेम नको करायला पाहीजे. कारण राणाचा स्वभाव चांगला दिसत असला तरी हा पुढील भविष्यासाठी अंजलीसारख्या मुलीला घातक आहे. Directors, please save the charm of this show. Past 2-3 episodes are not at par with earlier like EPiso design 27-28. Overacting and illogical diary episode should now end. It looks like the downfall is due if you continue loosing the sensibility, lightness, romance and comedy that made this show popular. Save it. Thanks. Agree… Phar chan and Sathe serial. Main cast chi acting jhakas ahe!!! Village cha nav kai ahe please mla sangnar ka….? khup samanya kustigir ani dusare sushikshit sadhe kutumb hyamadhil story changali watey. pan pahilyach episod pasun khalanayika ahech he khatakat ahe kahi divas nako khalanayikechya karwaya!